“We are dedicated to making PPS the Professional choice of the Colorado legal community. We treat all people with respect and earn business by delivering a high level of service." "To us professionalism is not a marketing line; it is a business philosophy that applies to all we do." 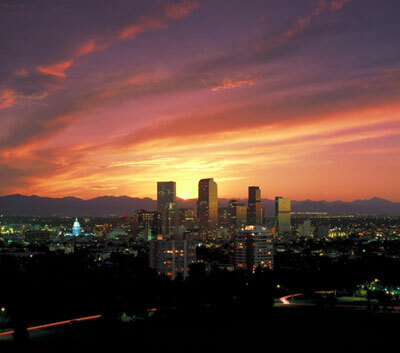 At PPS we aim to be the premier process serving company for Colorado’s legal community. We achieve our goals by constantly and consistently delivering the highest level of service. We are looking to capture market share by earning a reputation of being the most professional process serving company available. In short, our mission is to help our clients achive their legal goals. Our business was developed out of the need to have a more professional choice in Colorado with your process serving. All too often we deal with people that while they apply the right techniques to get the job done, they do not represent your firm with the level of professionalism you would expect from your employees. PPS understands how important your reputation is to you and more importantly we understand how our actions can impact it. That’s why we are so dedicated and focused on representing your firm professionally. It’s the way we represent your firm. It’s the reports and affidavits that will have the most impact in court. It’s being committed to continuing education and always striving for improvement. It’s applying honesty and integrity and delivering solid information you can rely on. Give us a try, you will be impressed. With over 20 yrs in business Mr. Jurim brings with him valuable knowledge and experience. His experience in corporate business to business sales has prepared him to understand and deliver on his promise of representing your firm with the utmost professionalism. He understands the psychology of the task. His experience has proved successful in drawing out people that may otherwise hide. Through effective reasoning, compassion and being non-judgmental he has gotten many people to receive service after evading and hiding. His non threatening, kind, understanding approach has made the served understand that the best course of action is to respond as opposed to hide.